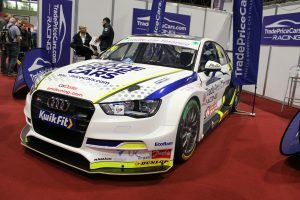 TRADE Price Cars Racing attended last week’s Autosport International Show with its new Audi S3 British Touring Car, adorned with familiar branding to many in the car sales industry. 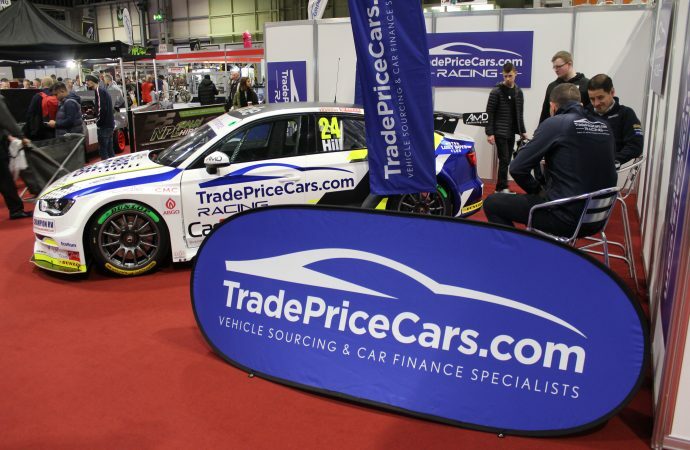 Click Dealer, Oodle Car Finance as well as Car Dealer Magazine all prominently featured on the car, and according to Dan Kirby, founder and director of Trade Price Cars, this is something that the team wants to carry over into the racing season. ‘We want to give our partners who help us during our working operation the opportunity to come on board and work with us as a motorsport partner as well,’ said Kirby. ‘We’ve got five or six industry leaders in their respective sectors – and ultimately, we want one brand for every sector. We’re talking to a couple of paintwork protection companies, automotive recruitment and trade insurance firms too. The racing arm of the business is now supported by AmD Tuning, after the purchase of two Audi S3s from the outfit run by Shaun Hollamby. Trade Price Cars will be more actively involved in the racing operations as a part of its partnership with AmD, having only acted as title sponsor for Team Hard’s VW Passats in 2018. Citing his dealership’s successes since foundation, including prizes at Car Dealer Magazine’s awards ceremonies, Kirby said he wanted to aim high on track too. Jake Hill, one of the brighter young stars in the championship, is already signed up for the team, while the second seat is set to be filled by ‘an equally fast driver’. The Trade Price Cars Racing Audi S3 will line up on the grid for the first time at Brands Hatch on April 6 and 7.